Stop Procrastinating, Get Unstuck & Live the Life of Your Dreams! It’s impossible for us NOT to think. Then, we speak our thoughts, and our words have power. As we do this, our thoughts leave the realm of the non-physical, and enter into the world of form. When our actions don’t match our words, we are out of alignment. When what we do is not what we said we’d do, then we are also out of integrity. 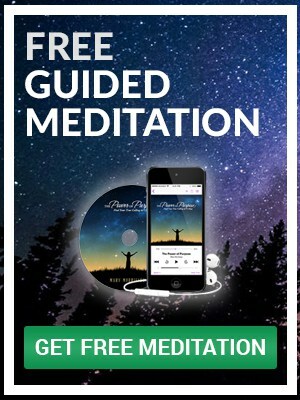 What happens if you experience this within yourself? Have you ever not kept your word to yourself? The good news is that we are in complete control here. If we want to feel more aliveness or more freedom, and thus more happiness — if we want to feel better about ourselves, as a person — we can start by increasing our level of personal integrity. I’ve created specific tools and techniques to keep me stay on track with maintaining a sense of personal integrity. One of them is to schedule things that I say I’m going to do right into my calendar, so that I know I’ve made time for what’s important… whether it’s cleaning out the garage, running an errand, or supporting a friend in some way. The power of positive thinking and doing is attainable with a shift in our perception! If you’re finding that your words and actions are out of alignment, simply write down goals and all of the verbal commitments you’ve made, both with yourself and others, and then decide what you want to do with them, one by one. Can you keep the commitment? Or do you need to discard it, or renegotiate it? Be honest. Consider the time it will take and your willingness to follow through on what you think you can do, what you say you will do and your willingness to get it done. Don’t leave any unfulfilled commitments hanging around, because they will actually drain your energy. When your words and your actions are in harmony, you will come to love and trust yourself on a whole new level. 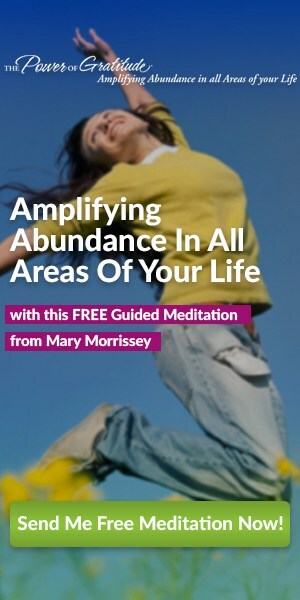 This will then increase your level of happiness and confidence, and ultimately, your overall fulfillment with your life. yes Mary-thank you for the free book. I can truly say that you are probably the best motivational person I’ve come across-keep up the good work. Thank you Mary!! This was really really helpful! Always love reading and listening to your emails! Hi Liz. Im glad you are finding this post useful! Thank you for the free book.Kofi Agyei. Keep in touch and reading my posts! Have an awesome day Kofi! The planet needs Mahatma!!! Loved this article! Mahalo for posting Mary, Aloha! Yes, you are right! The planet needs more of Mahatma Gandhi… Let’s do our part about it! Thank you for your words… keep in touch! I will have Amanda at customer care take care of you! 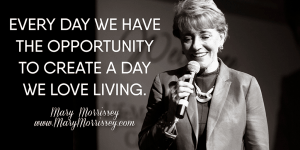 I will ask customercare@marymorrissey.com to connect with you and update your data so you can receive them! Thank you Tonny! Keep in touch!